FC Barcelona won yet again in La Liga, but this latest triumph felt a lot different. Why? Because they Catalanas didn’t just cruise past Rayo Vallecano on Sunday at the Miniestadi — they did it on a tidal wave of goals. Alexia Putellas was Barça’s biggest weapon in sinking Rayo, scoring four goals in a brilliant show of offensive firepower. Andressa Alves added a brace — including one from the penalty spot — while Mariona and Aitana chipped in with a goal a piece. Rayo's Perarnau scored an own-goal. Rayo’s Ángeles pulled one back late on the final play of the game in second half injury time. 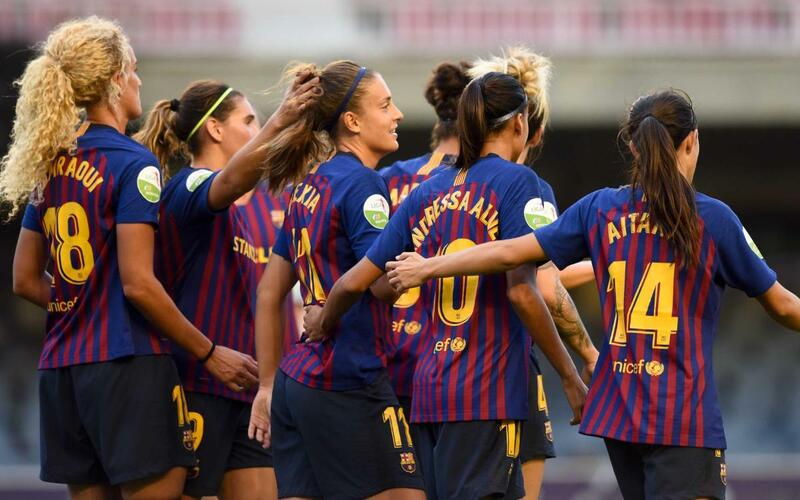 Alexia’s four-goal explosion was nothing new for her — the Barça number 11 had done it before, cashing in four times versus Fundación Albacete on November 8, 2015. Barça’s next match comes this Wednesday at the Miniestadi, when they host Glasgow City in the first leg of the UEFA Women’s Champions League round of 16. Kickoff is set for 6.30pm CET.